Fresh Artichokes with Lemon Butter. What a delight. Easy. Tasty. And they make you feel decadent. 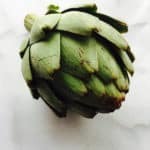 Fresh Artichoke before cooking it. Hi. It’s Lois at Recipe Idea Shop, telling you about our New Year’s Eve treat, Fresh Artichokes. I always feel like I’m living the good life when we have Fresh Artichokes. I was an adult before I ever tried one (my family was not adventurous eaters). 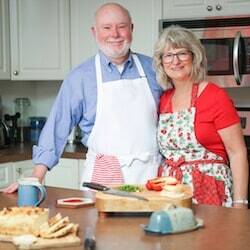 They are neither expensive nor hard to make, and because they are not commonplace for average families, I love to serve them on special occasions. I picked one up at the local grocery store for just $1.99 and it was delicious! 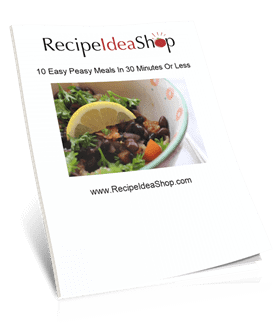 Serve it with Lemon Butter. 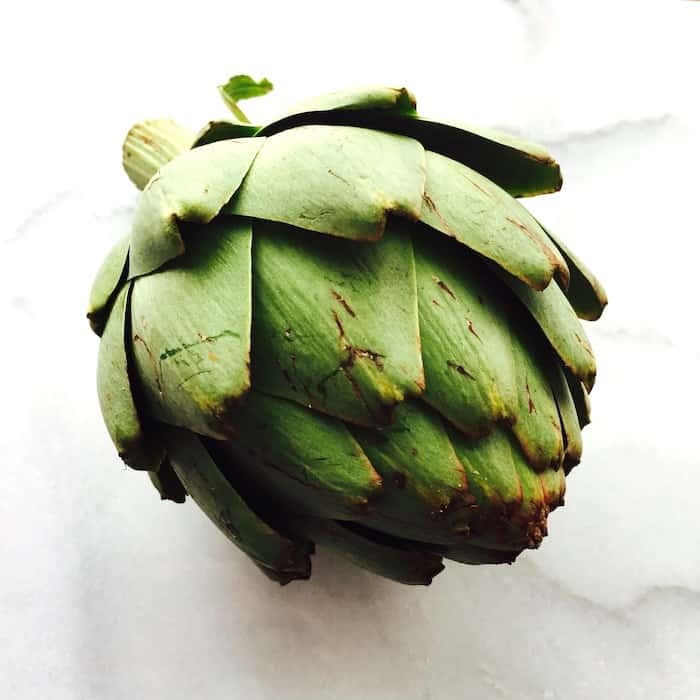 Peel, dip the bottom end and eat your hot, Fresh Artichoke. A good butter server will make it extra special. I like the servers with the warmer to keep your butter hot! What kind do you like? Set of 2 Ceramic Butter Warmers. Buy them on Amazon today. 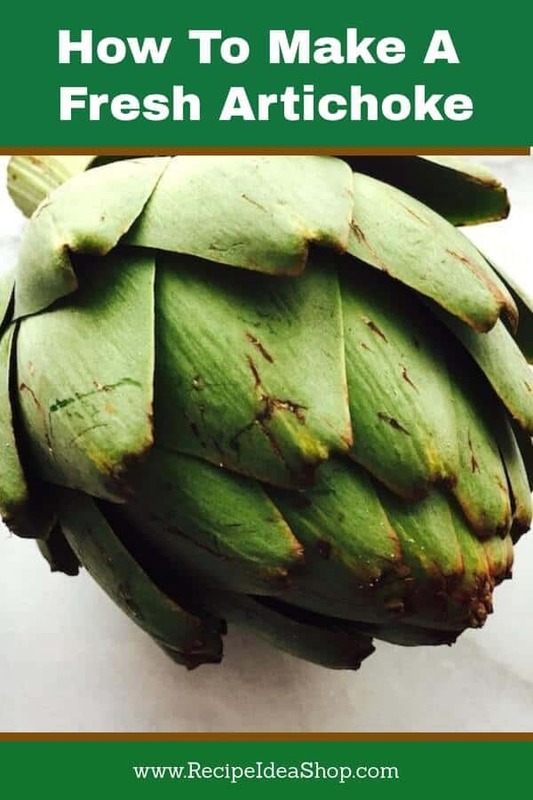 Prepare the artichokes by cutting off the tough top and bottom and peeling off the tough outer leaves. Cut the tips of the leaves on the outside all around the artichoke. Drop the artichokes into the pot and turn the temperature to medium. Cook for about 40 minutes until the artichokes are tender. Drain the artichokes and serve whole with the butter sauce adjacent in a small cup. To eat, pull off the leaves, dip the bottoms in the butter and eat the bottom tips. When you reach the heart, cut off the choke and eat the heart. Fresh Artichokes with Lemon Butter. Each serving is 1/2 an artichoke.